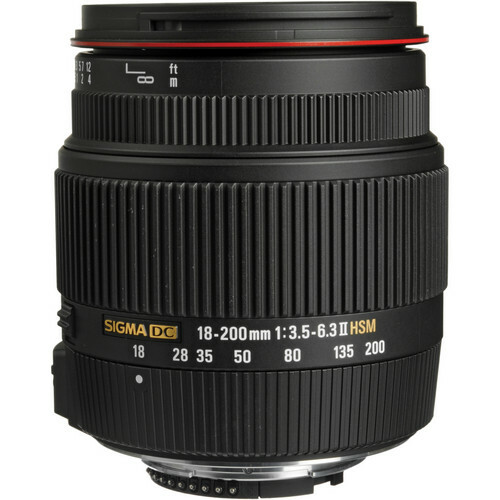 The Sigma 18-200mm f/3.5-6.3 II DC OS HSM replaces the older Sigma 18-200mm f/3.5-6.3 lens. One difference is the introduction of the new FLD (Fluorite Low Dispersion) glass element in the lens. This ensures that the lens has near capable performance to that of a fluorite glass element at the same time costing a significant amount less. Another improvement is the introduction of the Optical Stabilization (OS) technology which stabilizes the image when images are shot. 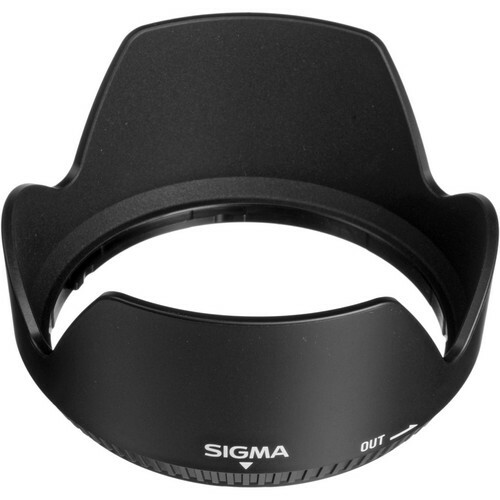 Sigma brands this as a multi purpose lens. For travelers who would like to travel light the 3.5” long powerful zoom lens can cover most of their photography needs. At a MSRP of $720, the lens is a fair choice if you can digest the soft corners at most of the times. If you’re using Nikon DSLR then the Nikon mount of this lens comes with HSM (Hyper-sonic motor) which ensures quiet auto-focusing. For Canon and even Sigma mounts the lens has only the micro-motor type. 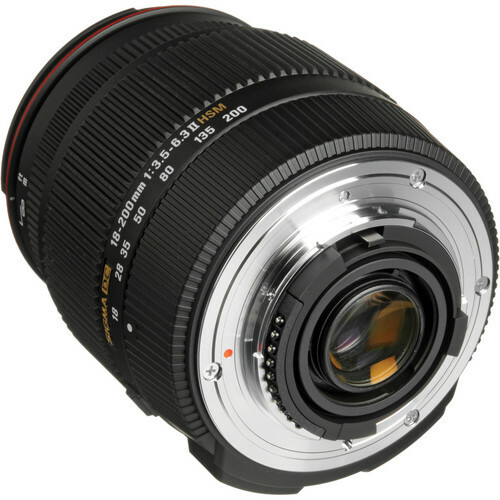 The angle of view of the lens is 76.5-8.1˚ (this lens is designed only for APS-C DSLRs) and the zoom is equivalent to 27-300mm comparable to a 35mm format. The Sigma 18-200mm f/3.5-6.3 II DC OS HSM has a total of 18 lens elements arranged in 14 groups including one Super-Low dispersion (SLD) glass element and three aspherical elements to combat spherical aberrations. The external dimensions of the lens are 3 x 3.5” and the weight of the lens is 600 grams. The 7 blade diaphragm creates a wide f/3.5 and a narrow f/22 aperture. The filter size specification is 62mm.